Are you passionate about blogging? 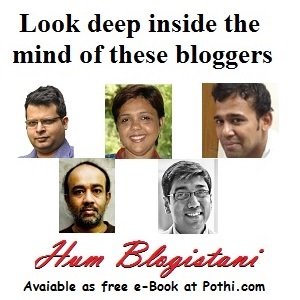 Do you love Indian blogs? Have you always thought about giving something back to the Indiblogger community? If yes, why not take a plunge in sponsoring awards for the 2004 Indibloggies? You may sponsor awards for one or more category and it can be anything (except cash awards)ranging from Pen to Painting to T-Shirts, Books, Gift Vouchers, Audio/Video CDs; it all depends on your budget and imagination. So if you wish to sponsor a prize for this year, do drop us an email at indibloggies at gmail dot com and we can discuss further on that. Disclaimer: The onus of delivery of the prizes falls upon the prize sponsor him/herself. Indibloggies does not, in any way, take responsibility for delivering the prizes to winners, loss of prize during transit or latter non-delivery by the sponsor. Winners must communicate their complete postal address to the sponsor directly for claiming their prize(s). Sponsors are encouraged to send us thumbnail image(s) of the prize(s) that we may display on this website. Do you think your blog deserves to be nominated to Indibloggies 2004? Click here to send your nomination to any of the Juror. They will have a look at your blog (may be they already know of it) and may nominate it, if they like it.